Grimm Tidings: You found him in a junk pile? 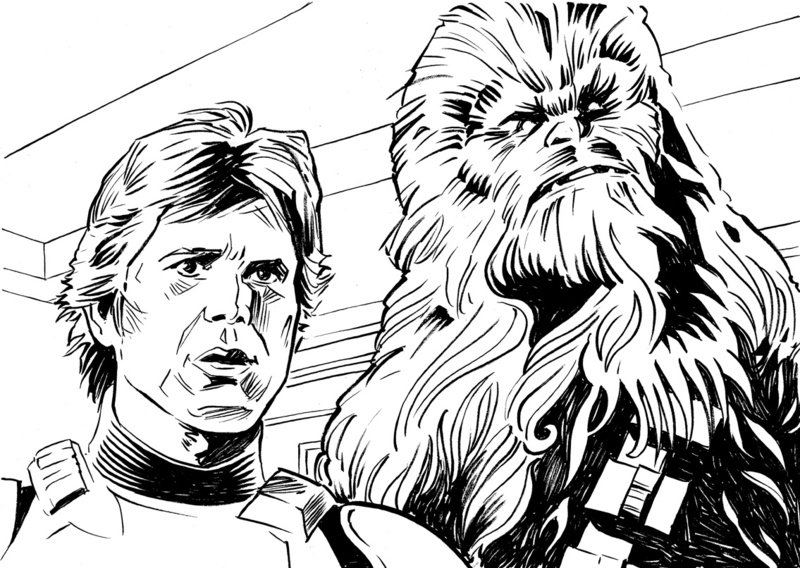 Sketching Star Wars stuff makes me feel like a contented eight year old again. Colour version is unfinished. I wish I could draw Star Wars stuff...:(. I'll bet it's great medicine for all kinds of ills. Really nice. 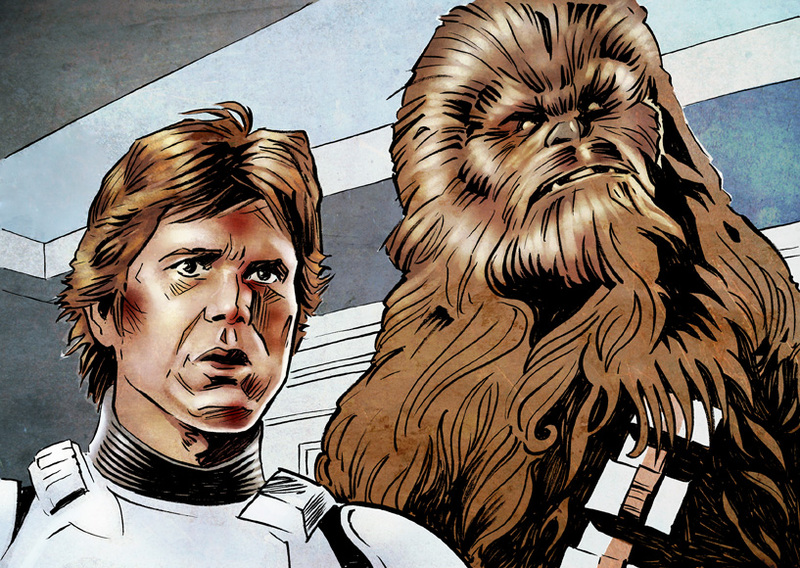 Han Solo is the chief! 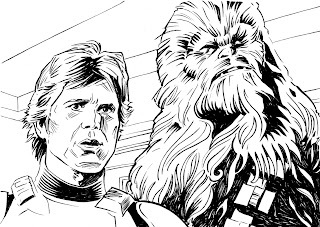 If I could draw Star Wars stuff I'd never leave the house. Right, next up - life size slave leia. See you guys in 2013!